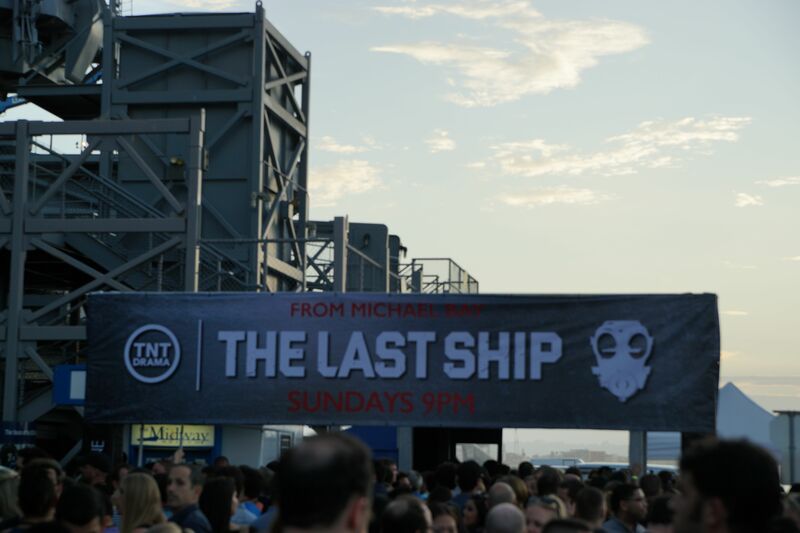 On July 25, 2014, CraveOnline and TNT’s The Last Ship cohosted a party aboard the U.S.S. Midway. MGMT and Grimes took over a stage constructed on the flight deck for an energetic concert complete with glow sticks. OHSOGRAY talked with two of the stars of Syfy’s Defiance, Julie Benz and Grant Bowler, who talked about what’s in store for their characters Amanda and Nolan, and Jason Mewes who talked about a future Clerks movie and what he still loves about Mallrats. OHSOGRAY also caught up with Charles Michael Davis from The Originals who discussed our fascination with vampires. Party goers were treated with drinks and food, and they were also gifted Loot Crates whose contents remain a mystery as the line to get them wound through the ship.